Everest Base Camp & Kalapatthar Trek | Junket Nepal Pvt.Ltd. Everest Base Camp and Kalapatthar Trek is one of the classic route of trekking recognized all over the world. Ascend towards base of the world’s highest mountain – Mt. 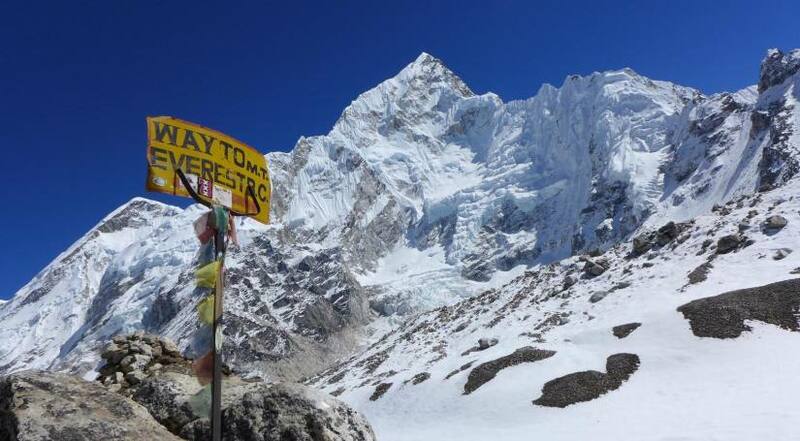 Everest 8,848 meters offers us to reach at Base camp 5,380 meters and Kalapatthar at 5,545 meters inside world’s highest Sagarmatha National Park with remarkable views of several high mountains including world’s highest Everest, world’s 4th highest Mt. Lhotse 8516m, world’s 5th highest Mt. Makalu 8481m, world’s 6th highest Mt. Cho Oyu 8201m and many more surrounded snow-capped ranges. The package trip is perfectly designed to discover natural wonders, explore rich Buddhist cultures as well as varieties of flora and fauna. A professionally organized Everest Base Camp and Kalapatthar Trek with Junket Nepal Pvt. Ltd embarks with a wonderful flight from Kathmandu to Lukla, an entrance of Everest region adventure trips. Then we continue ascend to Phakding & Namche Bazaar, following zigzag ascends, passing numerous numbers of mani walls, walk through pine forests and short glimpse of Mt. Everest and Lhotse before reaching at Sherpa Kingdom of Namche. We will make a day acclimatization and excursion at Namche Bazaar to be safe from altitude problem before heading towards further high altitudes. While making a worthy rest day, we will hike up to Syangboche view point from where we can have great views of Mt. Everest, Mt. Nuptse, Mt. Lhotse, Mt. Ama Dablam, Mt. Thamserku, and many other high peaks. Then we continue the trek towards Tyangboche where we can have close view of Mt. Amadablam and explore one of the largest monasteries in the trail. Again we continue towards Dingboche, Lobuche and to Gorakshep. From Gorakshep we will make two separate hikes; Everest Base Camp 5,380m and Kalapatthar 5,545m which are main highlights of our entire Everest Base Camp and Kalapatthar Trekking offering very close views of Mt. Everest range. After achieving the wonderful trekking experience of Base Camp and Kalapatthar we will safely descends gradually towards Phiriche, Tyangboche, Namche, Lukla and finally fly back to Kathmandu.